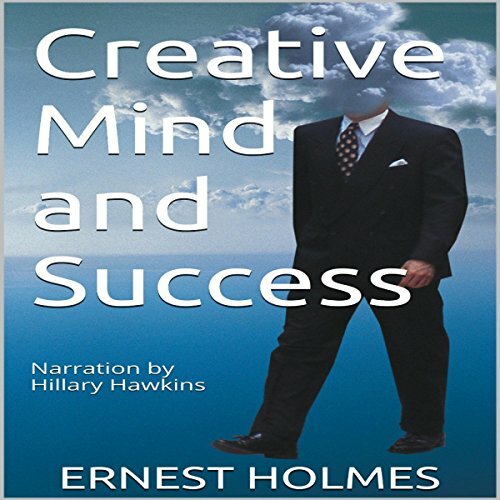 This audiobook is for the Truth-seekers and helps explain the mysteries of life. You and I, then, are not dealing with conditions, but with mental and spiritual law. We are dealing with the power of thought, the power of mind. Learn how to tap into the Universal Mind and let Infinite Spirit be your Guide. The Infinite Power is already flowing through you. Creative Mind will help you understand it so that you may live a happy, healthy and prosperous life. 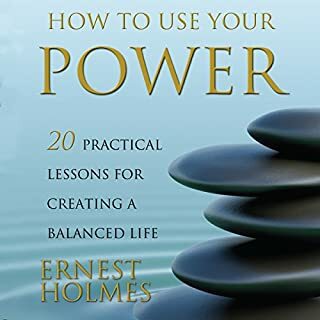 In this new audiobook, How to Use Your Power: 20 Practical Lessons for Creating a Balanced Life, spiritual philosopher Ernest Holmes offers 20 "how to" lessons addressing such pertinent issues as how to have a happy family life, how to pray, how to deal with an addiction, how to have successful relationships and greater prosperity, and more. 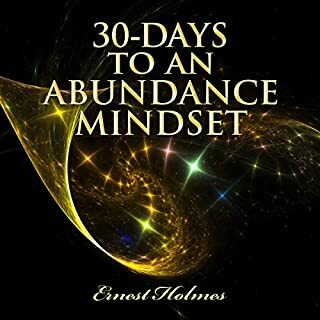 This powerful manual can be picked up and used when faced with a specific challenge, or when you simply want to understand "how to" deal with your life in a new way. Throughout our lives, we have read and wondered about the miracles of Jesus. But to how many of us has the thought come that this same power must be available to everyone? We have been so accustomed to thinking of Jesus as a man filled with love and compassion and human kindness that we have overlooked something else about him that is equally important. Jesus had access to a spiritual power that he used in every way. 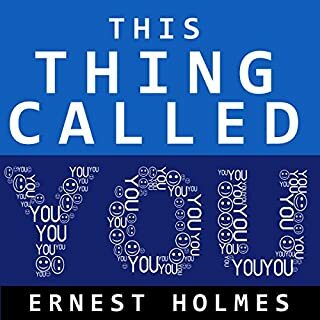 The inspiration of Ernest Holmes has reached hundreds of thousands of readers through his classic works, many of which are just now becoming available. 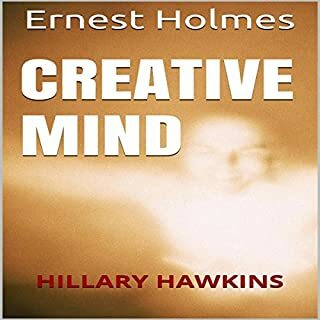 Whether a newcomer to the philosophy Holmes founded or a veteran listener, you will find great power and practicality in the words that render Holmes one of the most celebrated and beloved mystical teachers of the past hundred years. The action of God takes place through this book, and all who listen will be permanently improved. Truth reveals itself to the ready mind and the open heart. God, the One Mind, is both the writer and the listener. Divine ideas are its only activity. The fundamental truth - life is what you make it - is basic and essential to a personal idea of successful living. At the heart of the Science of Mind philosophy is a practical and direct approach to spirituality. It invites us to meet life not with fear but with excitement and a sense of adventure; with the attitude that anyone who understands the Science of Mind can apply its ideas to create beneficial changes in their life. The universe responds to the affirmative mind. It cannot say "no" to him whose mind is set on greatness. Let the words of your mouth, the meditations of your heart and the activities of your hands be acceptable to the Law of Good. You exist in an impersonal universe which, by its own nature, can only produce for you what you command it to demonstrate. Your thought is power. In the first place, what do we mean by life? We mean that which we see, feel, hear, touch or taste, and the reason for it. We must have come into contact with all we know of life. We have already found what life is or we could not have had any of these experiences. In the beginning was God, or life. Out of this life which is, everything which is, is made. So life must flow through all things. Listen to the voice of the renowned Dr. Ernest Holmes as if he was here today. These wonderful recordings are from his earliest Sunday live broadcasts. 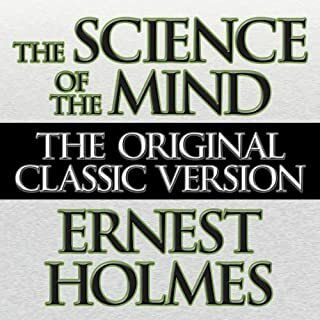 Here is an intimate "conversation" between Transcendentalist philosopher Ralph Waldo Emerson and Science of Mind founder Ernest Holmes, in which Holmes provides practical commentary on Emerson's landmark essays, "Spiritual Laws" and "History". Award-winning historian and New Thought author Mitch Horowitz narrates and introduces this first-time audio edition, which shines a new light on the power of thought to remake your life. This new edition is rendered in gender-neutral language. Every time I talk on this subject I begin with this. I have no gold brick to sell. This is no get-rich-quick scheme. I have nothing at all to sell to you. There are no secret doctrines that will tell you how to make a million in a month. While there is an exact science of gaining wealth, I will say in beginning that possibly none of you will ever prove it. Nevertheless, I will say that it is an exact law, a scientific and unfailing law. There is a law of perfect supply. God, Divine Mind, is the everlasting creator of my being and all being. My creator lives within me and endows me with new life each day and always. This creative mind is constantly bringing new forms, new ideas, new inspirations to replace old ones. The life-force of the infinite in me, never stands still, waits, lingers, nor even pauses. I know I live in a universe of everlasting right action, movement, change, and perpetual progress. Creative Mind and Success is a follow-up to Creative Mind and another one for the truth seekers. Learn more about the power of attraction, the power of thought, and how to tap in to the creative mind to achieve success in life. "I say that ye are gods, and every one of you sons of the Most High." 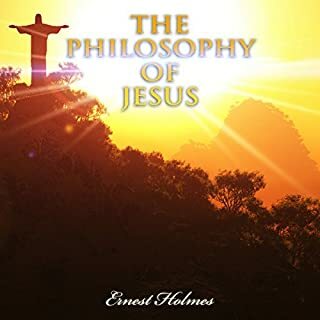 Written by the late great Ernest Holmes, metaphysician/spiritual teacher/new thought leader. Narrated by Hillary Hawkins, Voice Arts Award nominee and narrator of Your Word Is Your Wand, 31 Daily Affirmations Based on the Word of God to Speak Over Your Life, 31 Bible Verses for Prosperity, and more. Creative Mind and Success is one of Ernest Holme’s most inspirational messages. I enjoyed listening to the Audible version while reading alongside the book. However, there were several pronunciation or other spoken mistakes throughout the recording. For instance, track 11 “More About the Power of Attraction” James is pronounced as “Lames”. There were other slight alterations in phrasing most likely to differing editions of the text. Small criticisms but overall the audible version was a welcome complement to the text. One of the best book I have ever listen to. Going to listen again and again. Hillary Hawkins seemed to capture the enthusiastic nature of what Dr. Holmes intended. This is a book that can change your life, if you decided that you would like that. Dr. Holmes is clear that our thinking creates our experience of life. This is teaching that you can use for your own joy and beauty of life. Hope you enjoy it. The narrator was great. I've listened to this book several times now. It has changed my life. some of the content is inspirational but no educational. I was expecting a totally different book. no good for my library. Narrator reads as if a child story book. There are books on the subject that are better written and narrated. A Christian book full of mysticism. Hard for me to read as a scientist who has a Hindu background. If I put the God stuff aside, there were some really good quotes. Especially in the last two or three chapters. I thought the book was a fair price for the money. I could see how those following western religion would like this book. Narrator's voice didn't quite match the content; however, her performance was good. lovely experience of spiritual practice in all areas of our lives. may you experience it.